Islamabad: Pakistan would send a human to space for the first time in 2022 with China’s help, Information Minister Fawad Chaudhry announced on Thursday, ahead of Prime Minister Imran Khan’s maiden visit to Beijing. Pakistan’s first space mission has been planned for 2022 and the federal Cabinet meeting chaired by Imran Khan approved the plan on Thursday, the minister was quoted as saying by Pakistani newspaper ‘The News’. An agreement between Pakistan Space and Upper Atmosphere Research Commission (SUPARCO) and a Chinese company has already been signed, the minister said. Pakistan and China already have robust defence ties and Islamabad is one of the top buyers of Chinese military hardware. Earlier this year, Pakistan launched two satellites into orbit, using a Chinese launch vehicle. The Pakistani satellites were launched onboard a Chinese Long March (LM-2C) rocket from the Jiuquan Satellite Launch Centre located at the Gobi desert, China. The second test satellite launched was a PAK-TES-1A, developed by Space and Upper Atmospheric Research Commission (SUPARCO) to enhance satellite manufacture capabilities in the country which would help end Pakistan’s dependency on commercial satellites for information related to weather, environment and agriculture. The satellites had to be transported to China as Pakistan lacks the infrastructure to launch objects to space. 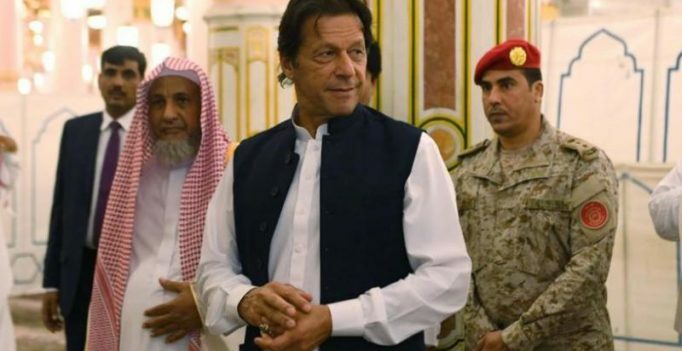 Imran Khan will head to China on his first official visit to Beijing on November 3 and will hold meetings with Chinese President Xi Jinping and Premier Li Keqiang, Pakistan’s Geo News quoted their Foreign Office as saying. Interestingly, Pakistan’s plan to send a human to space is aimed for the same year that India plans to launch its own manned human space mission – the difference being, ISRO’s mission will be their own, while Pakistan will do so with China’s help. “We have resolved that by 2022, when India celebrates 75 years of Independence or maybe even before that, certainly some of our young boys and girls will unfurl the Tricolour in space,” PM Modi had said from the ramparts of the Red Fort on the 72nd Independence Day earlier this year. China had launched its first manned space mission in 2003, becoming the third country in the world to independently develop a manned spaceflight, after Russia and the United States.